I AM EXCITED with the new possibilities I have discovered since working in this new field of Hypermobility. I invite you to join with me – it will revolutionise your teaching. My work in this very new area of research, is based on extensive research and personal experience, and began when I discovered that there was a preponderance of hypermobility (which in the beginning I called “double jointedness”) in the rehab community which I have been studying and teaching yoga into for ten years. Whilst doing my Doctorate, I discovered what for me has been the MISSING LINK in my teaching. HYPERMOBILITY. The Australasian Yoga Life magazine had published in March’18 a major article on our work. 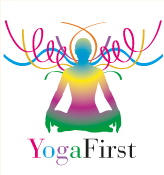 It could be that teaching yoga with an emphasis on the cranio-sacral fluid, DNA, collagen malcoding and the “connectivity” of CSF, that I otherwise thought of as a largely inert and just protective fluid holds the key. Teaching with an emphasis on stability, patience and stamina, rather than flexibility. Certainly in reading Vivekananda and Ramacharaka in light of these developments, I have come to understand much more about what is happening between the spine and the nervous system. HYPER MOBILITY THE COURSE (on ETSY – My Etsy Shop) : This is especially designed with YOGA/FITNESS Students in mind. Charts, instructions, asana help, vitamins, diet. All in the one place. The cost is $134.00 which is pretty economical – you can get a certificate, you can use it as your elective but only if you do the exam and get the certificate… It is NOT SHORT COURSE. there are 8 modules, but if you love your yoga you will race through it.